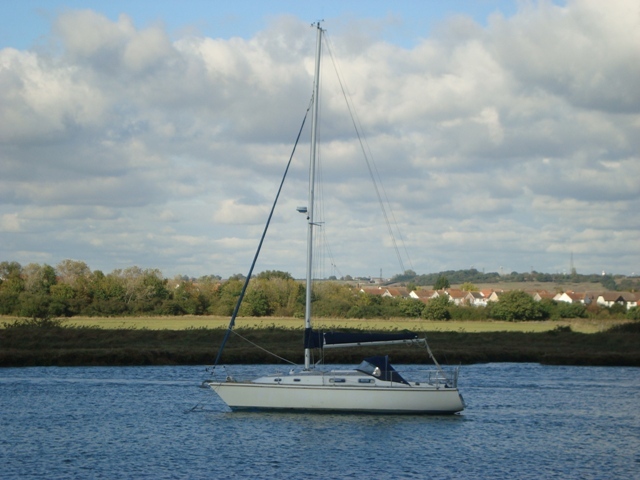 Fernando Costa, who has frequently commented on items within this blog, recently drew my attention to Matt Rutherford who is endeavouring to sail around the Americas in an effort to raise funds for CRAB, the Chesapeake Region Accessible Boating organisation. Matt has run into problems with equipment used for generating power, and Simon Edwards is hoping to re-supply Matt with the necessary gear at a rendezvous off Recife, Brasil. Fernando was wondering if anyone could help, and he asked me to make the matter known via my blog. Matt has done remarkably well in his endeavours to raise cash for CRAB. His aim is to complete a circuit of the Americas, involving a 25,000 mile voyage, sailing non-stop via the Northwest Passage, anti-clockwise around both North and South America, around Cape Horn, returning northwards along the Atlantic seaboards to Chesapeake Bay. He left Annapolis on 1st June, 2011, aboard an aged Albin Vega 27 yacht, and proceeded northwards to the Northwest Passage which he sailed through to continue to the Bering Strait and beyond to the Aleutian Islands, becoinge the record-holder for sailing the smallest boat through the Northwest Passage – that’s according to the Scott Polar Institute, University of Cambridge. Early in January, 2012, Matt rounded Cape Horn to commence the northwards part of the 25,000 mile circuit. 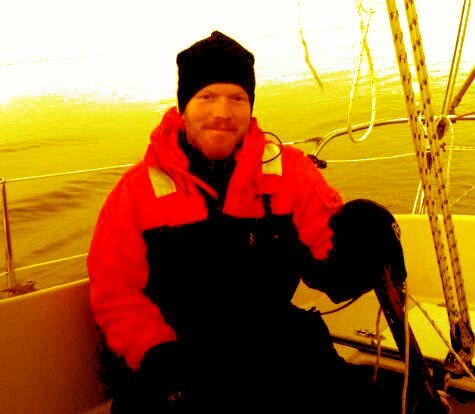 He hopes to raise $10 for every mile sailed. If you wish to donate, visit the CRAB website and follow through the process. Monies raised will fund refitting CRAB’s fleet of four sailboats, purchasing new accessible racing boats, and helping with the modification of a fishing boat for wheelchair accessibility. Ann Davison was the first woman to sail alone across the Atlantic. 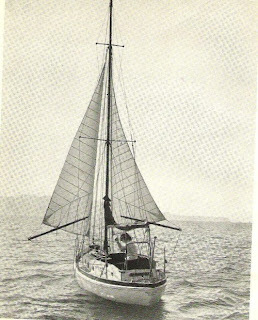 She did it aboard a small double-ended wooden sloop in 1952. 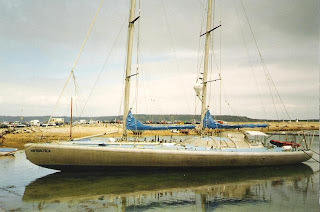 For a summary of her voyage you can see my article ‘Felicity Ann’, by visiting the link at the bottom of the page, but you would do well to first visit two Sliderocket presentations prepared and presented by Karen Gale telling of the restoration of Ann Davison’s record-breaking yacht. Penelope Partridge is leading a team of women in Port Hadlock, Washington, to restore the yacht. Karen has entered her Sliderocket presentation in a competition, which if she wins, could net $10,000 towards the restoration of ‘Felicity Ann’. 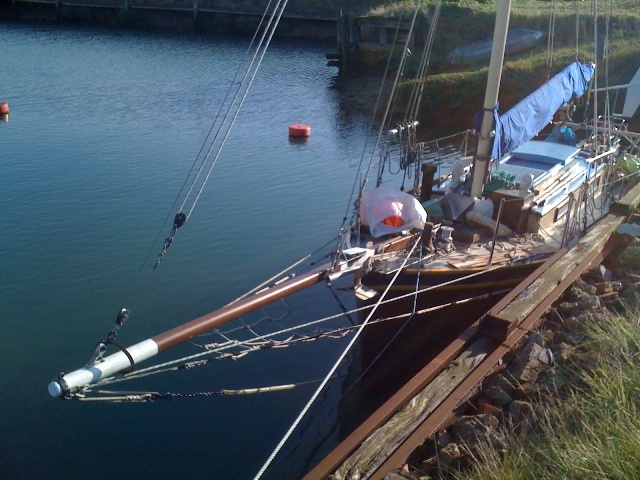 The yacht is being restored under the guidance of the Northwest School of Wooden Boat Building under their Community Boat Project scheme. I don’t think this beautiful Bruce Roberts Spray Class Yawl is for sale. 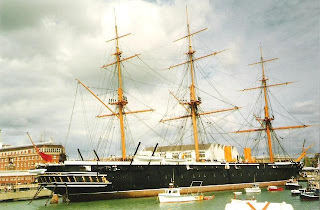 She is a bit unusual, in that she would appear to have ports below the gunwale. Personally, I don’t like this because they constitute a weakness to the hull and they could be vulnerable when the boat heels and the sea conditions are rough. 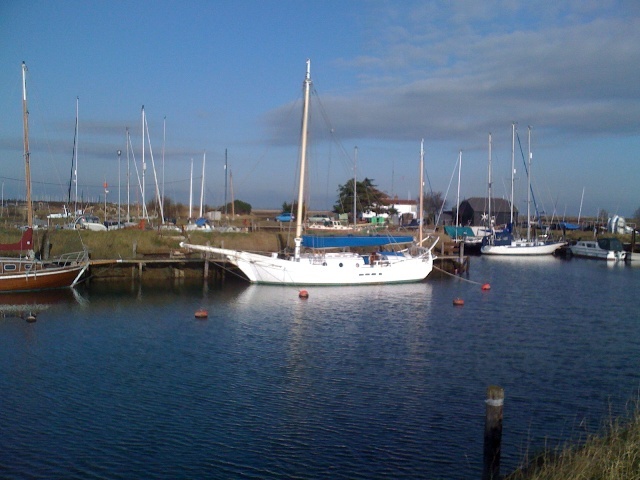 Here is a photo of a Badger Class Yacht berthed at Walton Yacht Basin by the Walton and Frinton Yacht Club. 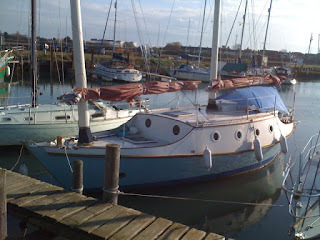 All of these yachts were photographed by me on the afternoon of 12th October, 2011. I don’t think there is anything special about them, but they are representative of small yachts that can take the ground. 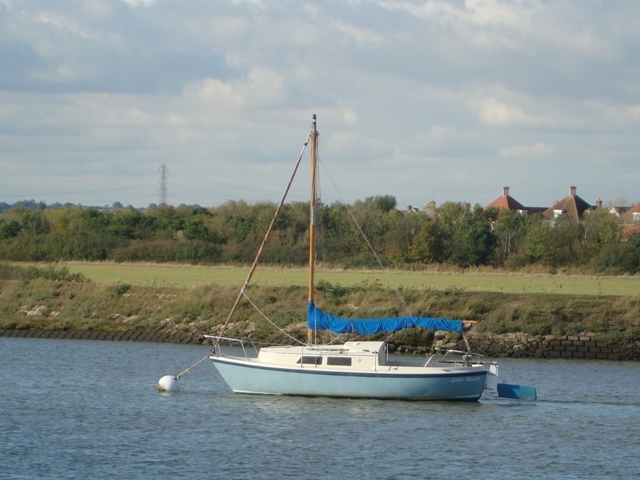 At low water, most of them would touch bottom, which at this location above the slipway at Hullbridge would most likely consist of a mixture of pebbles, small stones and perhaps mud. Boats close to the river banks may settle in mud, but those in the centre of the river where the ebb scours the bottom, would probably come into contact with small stones or gravel. As the yachts are moved by the current or wind they gouge out gullies or pits where they generally settle. 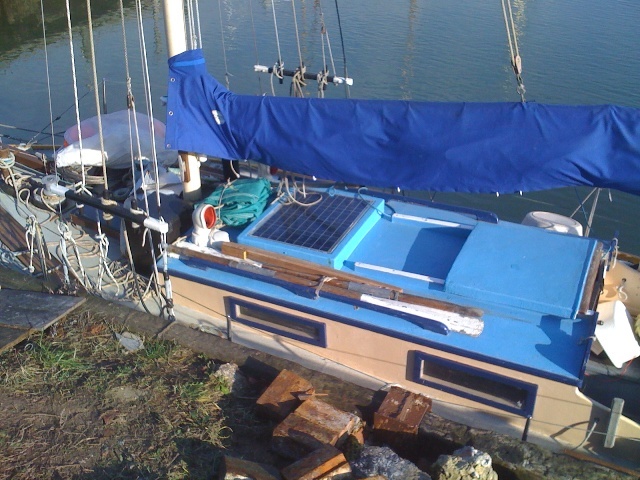 Ideally, they should have iron bilge keels to support their weight and to prevent their fibreglass hulls from coming into contact with the abrasive riverbed. Any yacht a bit out of the ordinary, then I’m there looking at her to see what I can learn. 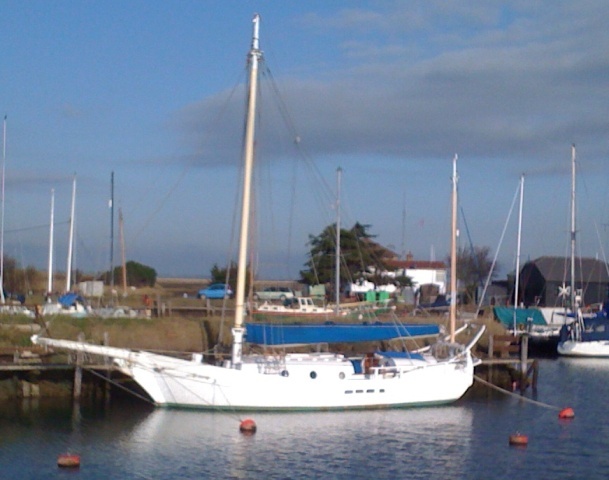 I stumbled across this small gaff cutter in the basin by the Walton and Frinton Yacht Club. I think she must be someone’s home. 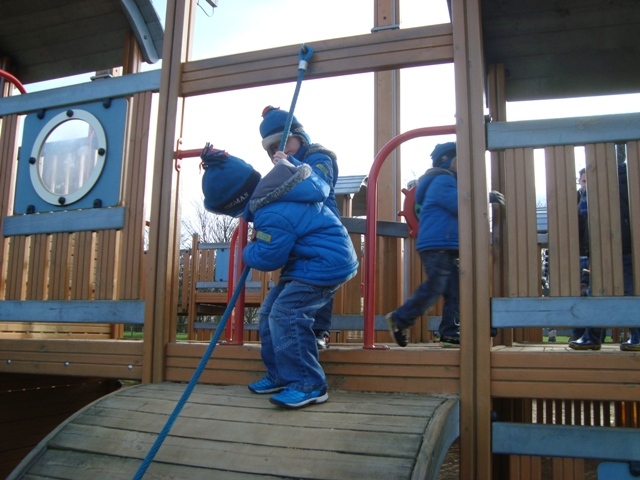 What is reality for children? 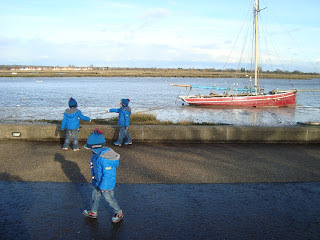 Early in the year my wife and I took our grandchildren to Maldon for a day out. They couldn’t have been better behaved. For us it was a day to remember for the joy we all had. Here are a few pictures that capture the flavour of the day. At the time of writing this article there’s a 1961 Debutante for sale at Ebay with name ‘Deborah’. 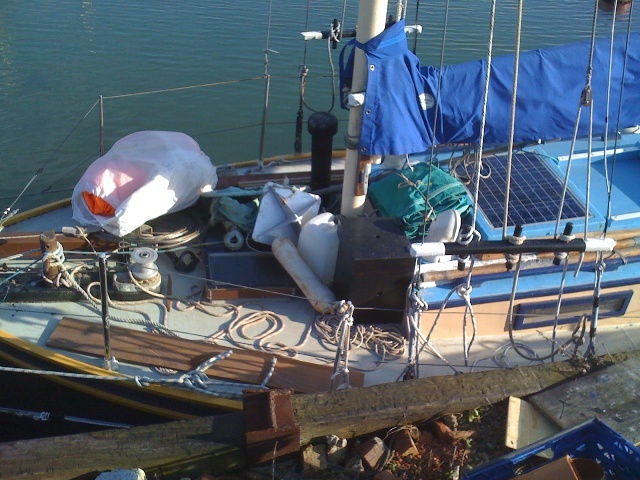 The owner says she’s only been owned by three people and that very little needs to be done to make her ready for the water, but she lacks a suit of sails. Designed by Robert Tucker, these plywood pocket-cruisers underwent subtle developments; the Mark 2, had a self-draining cockpit and more ballast than the original. 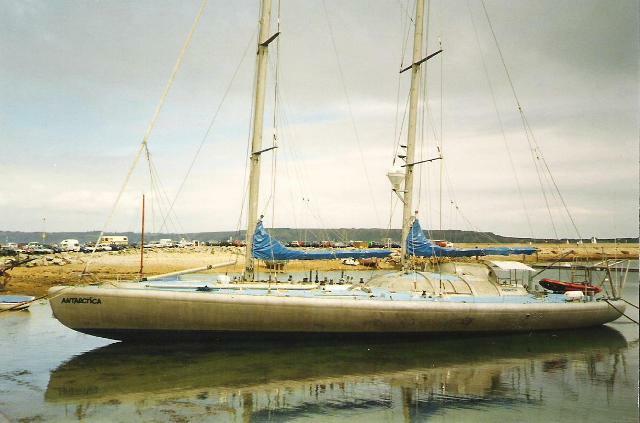 The Mark 3 was known as the Gallant. Tristan Jones sailed a Debutante on both the highest and lowest waters of the world. 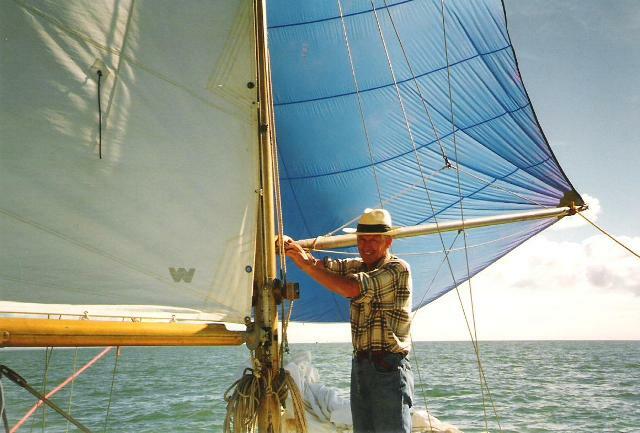 It took him six years of adventuresome voyaging to obtain the record, and you can read his book, ‘The Incredible Voyage’ to learn how he overcame enormous difficulties doing it. 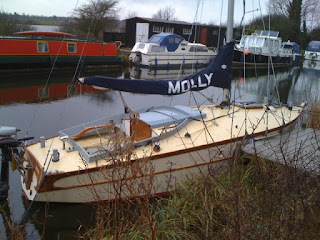 Not so long ago I noticed a nice looking Debutante with the name ‘Molly’ moored beside the canal at Heybridge, Essex. I discovered that she was for sale, but in my opinion at an over-inflated price when compared with other Debutantes for sale. The problem is that owners who renovate vessels sometimes expend more cash on them than can be recovered when the vessel is sold. They remember the many hours of loving labour lavished on their pride and joy, and as a result they over-estimate the true value of their possession. 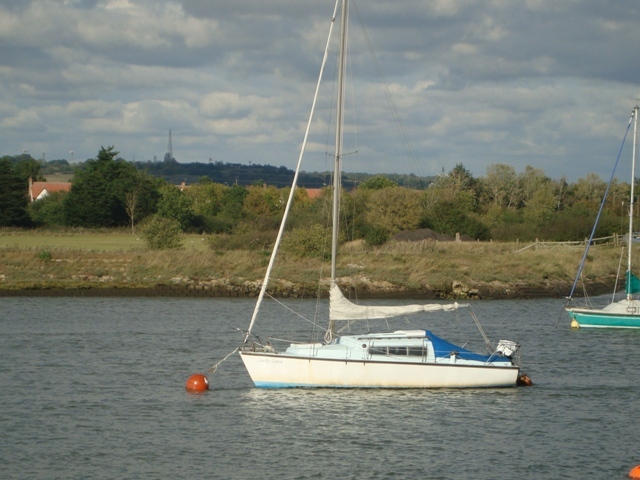 Sadly, the owners will not part with their boats at a loss, and as time ticks on, their vessels deteriorate and eventually they become wrecks. I’ve seen it happen and morn the loss of such boats. I sincerely hope ‘Molly’ does not await such a fate. A signed copy of Clarissa Vincent’s book was given to me by the author when I had the privilege of meeting her on a very cold day, early in February, 2012. Her yacht, ‘Storm Petrel’ had been advertised at Ebay, and I was interested in the possibility of buying her. 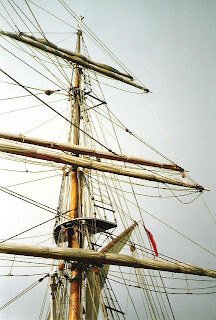 As I examined the boat in detail, an extremely cold wind from the northeast whistled across her decks. My hands were numbed and my eyes streamed tears that nearly froze on my cheeks. 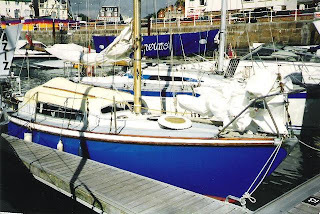 When I had completed my appraisal of the yacht I decided SP was not for me, but for someone who was prepared to spend a fair amount of time and money into bringing her back into shape, she could be a worthwhile project. 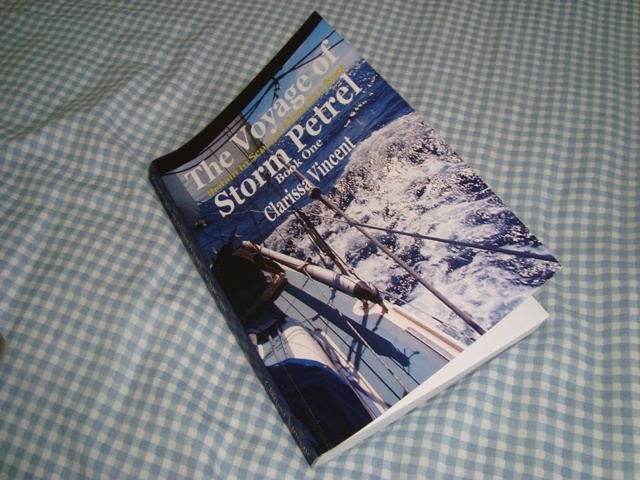 As soon as I returned home I delved into Clarissa’s book, the first of a two part account of a voyage from Bristol to Gambia and back. Immediately I knew I was in for a treat, and having sailed alone across the Bay of Biscay, I could appreciate the more her achievement. I am indebted to Clarissa for her colourful and detailed descriptions of events as they unfolded. She has the most remarkable eye for detail and a penetrating insight into human behaviour, no doubt refined by her academic studies in sociology at Bristol University. Clarissa is tactfully honest in her opinions of the people she meets and the places she visits. She is equally honest about her own motivations and her own doubts at the outset of her voyage. She stands to one side as an observer, a camera that does not lie. 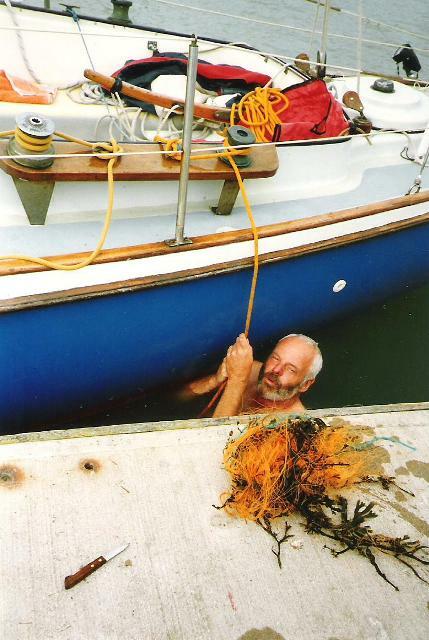 She reveals what is important to her and does not hide her feelings, whether for the state of an animal in need or her concern for an aged yachtsman unable to maintain his vessel. She shows herself to be a woman who respects the views and customs of others. She understands that people need their own privacy, and in no way would she impose her views or presence upon them. Of all the voyaging books I have read, I have not found one that reveals so much about the author. She is passionate about geckos, lizards, stray cats and dogs. She has an engaging style of writing that has the reader wanting to learn more of her adventures as they unfold. I couldn’t put the book down, except by reasoned argument in that I had to find sleep. This is a paperback comprising 296 pages of tightly packed text with 28 pages of charming black and white illustrations drawn by the author. (ISBN 9781456516222) It is available at Amazon.co.uk and also through Kindle publications. I would recommend this book as well worth reading. You’ll come away with an extended vocabulary and a better understanding of what yacht cruising should be about. You’ll be a bit more caring for fellow human beings. Many thanks for visiting my blog. Without your support there would be little satisfaction from writing an article every day of the year. Sometimes it’s a slog, and the words do not always come easily. I need to be very self-disciplined if I am to continue at this tempo. The time has come for me to have a break; maybe for a day or so, or perhaps longer. I feel I must have a rest. Therefore, please bear with me if you find nothing fresh until I return. There are hundreds of pages for you to read. Choose a subject and type a few relevant words in the search box at the very bottom of this page; then scroll to the top where you will find related articles. Click whichever link you fancy and you are there. Please enjoy what’s on offer. 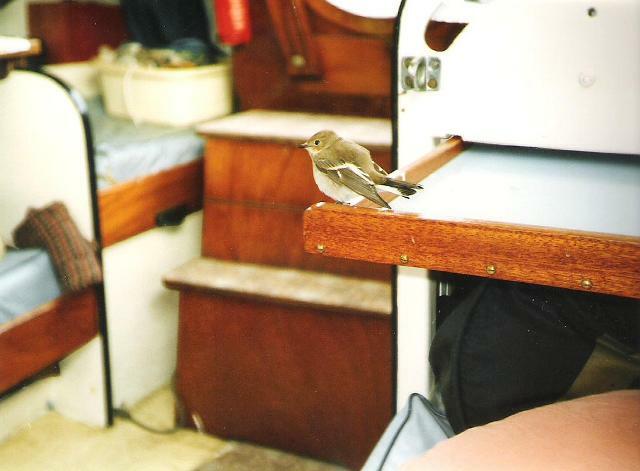 A sailing friend joined me at Gosport. We had a look at the Cathedral; then ate at a Chinese restaurant. 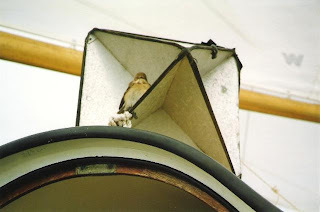 On the morning of Tuesday, 2nd September we were underway at 0608 after hearing the shipping forecast. We had an uneventful sail, including a spinnaker run from Boulder Buoy, south of southwest of Selsey Bill. From there we passed through the Looe Channel and carried the spinnaker much of the way to Newhaven. 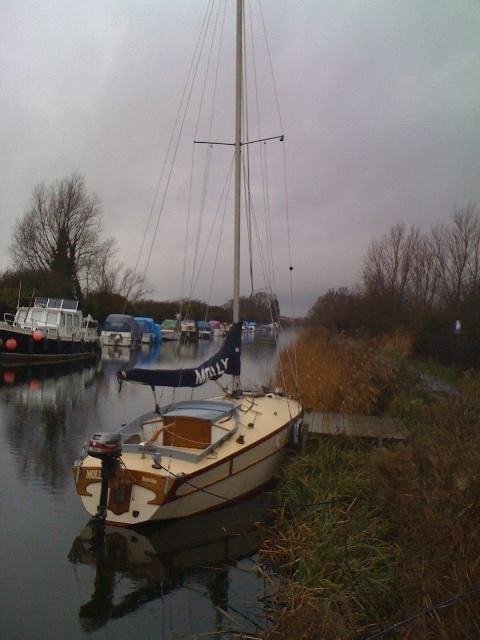 ‘Aziz’ was snugly berthed there in time for afternoon tea. I was surprised to be charged £16.00 for a night’s stay. There was nothing special about the facilities, and a little grubby – noisy at night too. The next morning we were anxious to leave, and by 0615 ‘Aziz’ was heading for sea, but all of a sudden there was a loss of power and drive from the propeller. I managed to nurse the yacht back to our pontoon. From there we could see netting caught on the propeller. My friend nobly offered to dive in the water and cut the netting free. After four or more dives he had removed the netting by sawing away at it with a small, but sharp knife. I used to be the junior school plate-diving champion, but that was at the age of twelve. A school gala took place every year, and the plate-diving event featured midway between races and polo matches. A teacher would randomly throw a dozen plates into the pool and the person who retrieved the most on a single dive was the winner. If two or more retrieved the same number, the one who did it fastest would take the prize. I no longer had that ability to stay under water holding my breath for minutes at a time; therefore I was very grateful that my friend was able to do the job. The alternative of hiring a diver would have been costly. 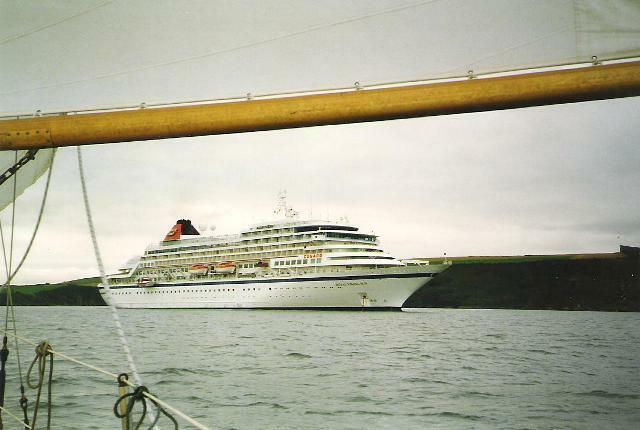 In less than thirty minutes we were heading out of Newhaven Harbour and by 2200 we were securely berthed at Dover Marina on the outer visitors’ pontoon, where we could remain until the following morning. My friend took his leave, and again I was on my own; that was on the morning of Thursday, 4th September. Time was knocking on; days and months were slipping by, but I would soon be home with ‘Aziz’ reunited with her mooring at Fambridge, on the River Crouch. We did a pit stop at Ramsgate before sailing across the Thames Estuary without any problems. Beating into the Crouch on a fine sunny day was a real pleasure, and before mid-day on Saturday, 6th of September ‘Aziz’ and her crew were back at Fambridge where our adventure had started. I was quietly moved when I heard a commentary of Princess Diana’s funeral on the radio. Tributes were never ending. Saturday, 30th August could not be stopped. Inevitably the world kept revolving, and on that particular morning the wind kept blowing. The Shipping Forecast told of a low pressure system centred over South Wales that would move northeast towards Scandinavia. Forecasters predicted there would be winds between Force 5 and 7 from the northwest, but they would decrease while backing to the southwest. Visibility would be moderate to poor. That was almost ideal for a fast passage to the Solent. By 0700 we were on our way. 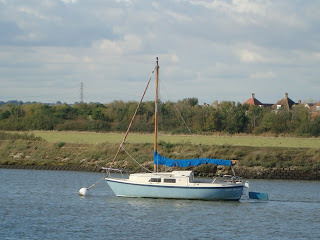 I set the self-steering gear for a course of 103 degrees compass to a point one mile south of St. Albans Head. Since it was a Saturday there was no firing at the Lulworth Gunnery Range. Active firing would have forced us south of the danger zone. The Range patrol boat would have made sure that we didn’t stray into their patch. We passed the usual landmarks: St. Alban’s Head and Anvil Point, where on the west-going stream there’s always a popple. We arrived there at low water which helped smooth the sea; then we took the flood into the West Solent, north of the Needles at the western end of the Isle of Wight. We constantly logged over 4 knots, sometimes 6. Sailing with the wind from astern was truly exhilarating. 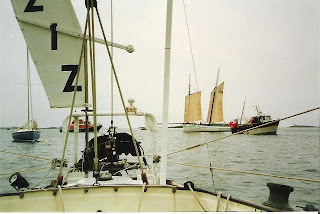 We sailed halfway between Hurst Point and Fort Albert to avoid the treacherous Shingles Bank to the north, across which I inadvertently strayed when sailing ‘Zeta’, my Folksong, twelve years before. I swear her keel almost touched bottom when she was in troughs below curling wave crests. Good fortune was ultimately on my side. In hindsight, God’s providence saw me through. Luck or chance, played no part. If we live after making serious mistakes, we should learn from them, so that we may continue living and pass on our knowledge to others in the hope that they will profit from our mistakes. 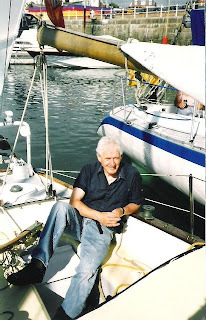 Adlard Coles’s, ‘Heavy Weather Sailing’ is full anecdotes passed on by those who survived at sea when pressed to the limit. The book contains much knowledge and wisdom for those who would venture into turbulent waters. By 1800 hours ‘Aziz’ was securely tied to a visitor’s buoy adjacent to the Town Quay. I felt really pleased with her performance. According to the Walker log we had sailed 52.6 miles in just over 11 hours at an average speed of 4.7 knots. In fact, we had travelled further over the ground, having been helped by the flow going up Channel. On the whole, visibility had been good, and I had found no reason for it to be poor, as expected from the morning forecast. The mooring was uncomfortable because of frequent traffic entering and leaving Cowes Harbour: large ferries, yachts and motor yachts. 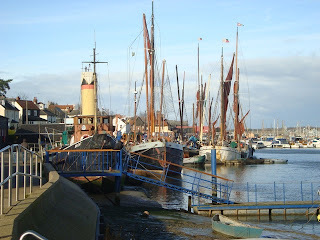 By 1000 the next morning I had had enough, and sailed over to Gosport where I berthed ‘Aziz’ at the Marina. I didn’t like motoring through the narrow passage into Portsmouth Harbour because there were far too many vessels coming and going. 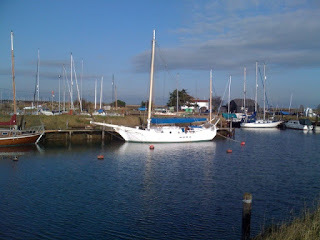 At last I found peace and security at the Marina - one of the cheaper ones too at just £11.00 a day. 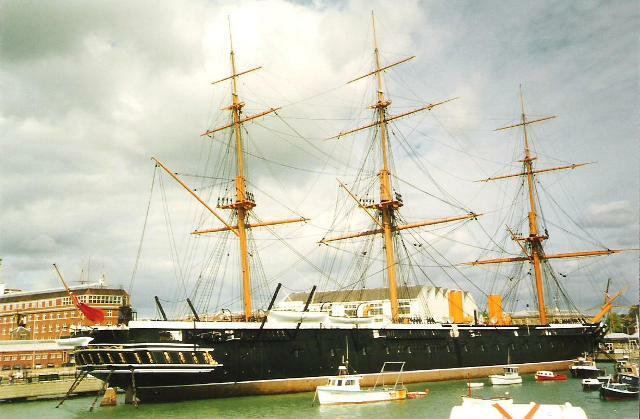 I was to stay at Weymouth for four days, firstly because my brother and his wife, along with their son and his family wanted to see me and ‘Aziz’; secondly because I wanted to explore Weymouth, and thirdly because the weather took a turn for the worse. 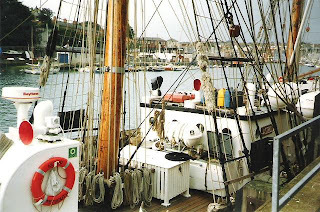 There are two things of note worth mentioning regarding my stay at Weymouth: my visit to Portland Bill lighthouse and my visit to the ‘Astrid’, a tall-ship moored at the town quay. 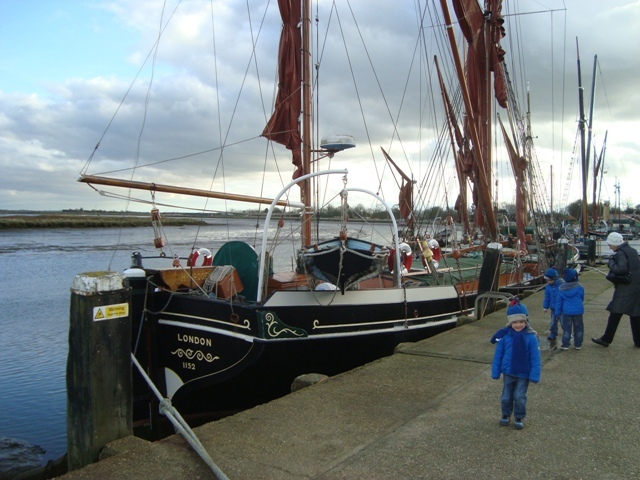 A year after I saw her she was bought by a new owner who took her to Holland, where she was built as a freight logger in 1918. 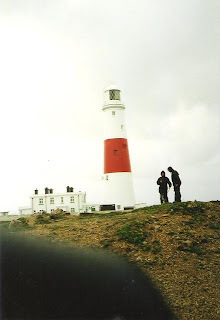 On Tuesday, 26th August my brother took me in his car to Portland Bill. This prominent obstacle juts out into the English Channel. Sailors sailing along this stretch of the South Coast have to avoid the infamous race that sweeps around the southern extremity. 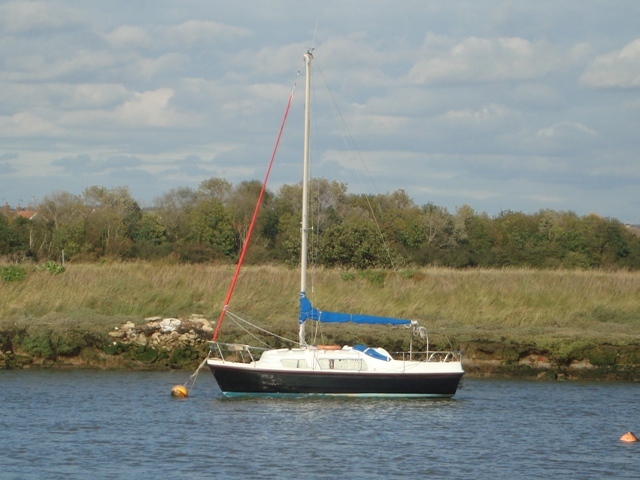 This can be done by going very close to the rocky shoreline, or by sailing at least a mile to seaward of the race. 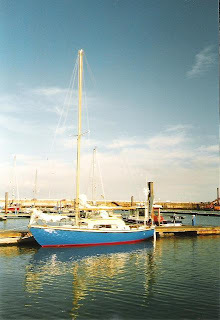 The next day, Bill with whom I attempted to sail to the Azores in his Eventide 26, and his wife paid a visit to ‘Aziz’. On Thursday, 28th the weather was rather miserable with much rain, but to occupy my time I returned to Portland Bill lighthouse by bus. There was a really strong westerly wind that churned up the waters. Seeing the Race from high up on the cliff gave a different perspective that reaffirmed my desire never to be caught in it. It was Friday, 29th August. A good many yachts were stationary in the harbour because of the inclement weather. 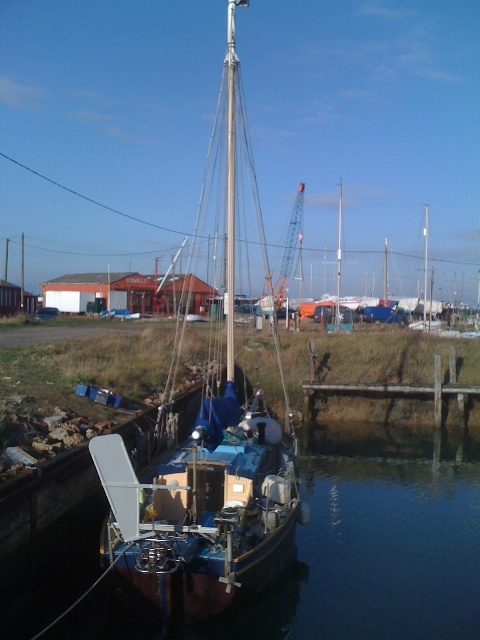 I moved ‘Aziz’ from her inside position to be the outermost of six berthed together. No longer was she trampled on by those leaving or returning to their yachts. As it was unlikely that any would be putting to sea I caught a bus to Dorchester, an attractive town I liked. Famous names associated with the place are Judge Jeffreys and Thomas Hardy. In 1685 the Judge presided over the ‘Bloody Assizes’ when he condemned 74 people to death, all supporters of the Duke of Monmouth who failed in his attempt at a rebellion. Thomas Hardy, the famous Dorset novelist, wrote Pair of Blue Eyes and Under the Greenwood Tree along with several other splendid novels and eight volumes of poetry. He designed a house he named Max Gate which his brother built for him on the edge of the town in 1885 where he lived for almost half his life. There he wrote several brilliant novels and eight volumes of poetry. I couldn’t be a prisoner at Weymouth forever, so come what may, I resolved to leave the following morning of Saturday, 30th August. 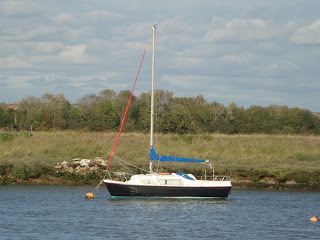 When I am coastal cruising I like to make an early start, so as to have the maximum number of daylight hours possible, hopefully arriving at a port or a suitable anchorage before nightfall. On Sunday, 24th August I had the anchor stowed by 0535 and straight away we were heading south towards the Warren Sands, but for reasons not recorded in the log, instead of continuing to sea, I picked up a mooring off the Warren Sands in The Bight. With time on my hands I struggled doing the laundry in two sessions - one before lunch and the other after. Each article was kneaded by hand in a bowl of cold water suitably prepared with a special liquid detergent, before I forcefully expelled the water by twisting the article as I held it over the side of the boat. Afterwards, every item was soaked in fresh water to remove traces of the detergent; then once again, I expelled water as before. The whole process was labour intensive and it took a long time. Because there were occasional showers I hung the wet washing on temporary lines within the cabin. That was not ideal, but when I started the job I did not think it would rain. I was severely restricted as to where I could move within the cabin on account of the washing that dangled and dripped. Getting ashore in my folding dinghy was not practical, because the nearest landing place was over half a mile upstream at Starcross, and the second nearest was a little further downstream at Exmouth. 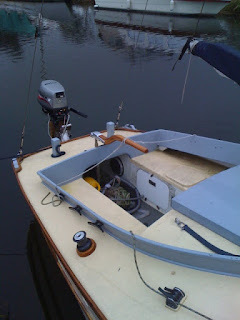 It would have been feasible had the current not been running at nearly two knots, and I did not have an outboard engine for the dinghy. I stayed put, did a bit of reading, passage planning, listened to the radio and rested. The shipping forecast for Monday, 25th August was pretty good, offering north-westerly 3 or 4 winds, showers, then rain, soon clearing. I made a later start than usual to ensure there would be enough water over the bar. 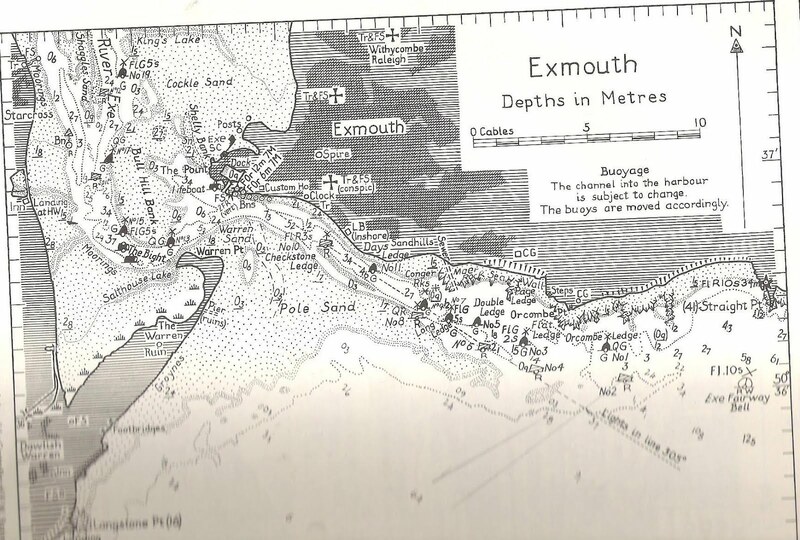 From our temporary mooring north of the Warren Sands it was a matter of following the well-marked channel around the sandy Warren Point; then seaward of the beach at Exmouth, but not so far as to stray onto Pole Sand, and while doing this keeping green buoys to port and red to starboard. Beyond Orcombe Ledge the sea became the most amazing shade of emerald, while contrasting with the red sandstone cliffs of Orcombe Point. There I streamed the log which registered 770.5 miles. For most of the morning we batted along on a direct course of 109 degrees compass for Portland Bill, and by mid afternoon the peninsular was due north, about two miles distant. We were to seaward of the rough water known as the Race, and we sailed to the south of the Shambles Bank before rounding the East Shambles Buoy. There I resorted to using the engine to help us along our way to Weymouth. 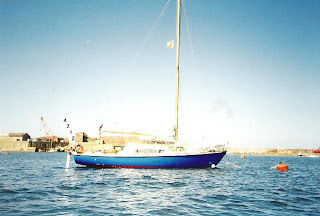 In the lee of Portland Bill the wind was less strong and by the time I anchored off Weymouth beach it was calm. 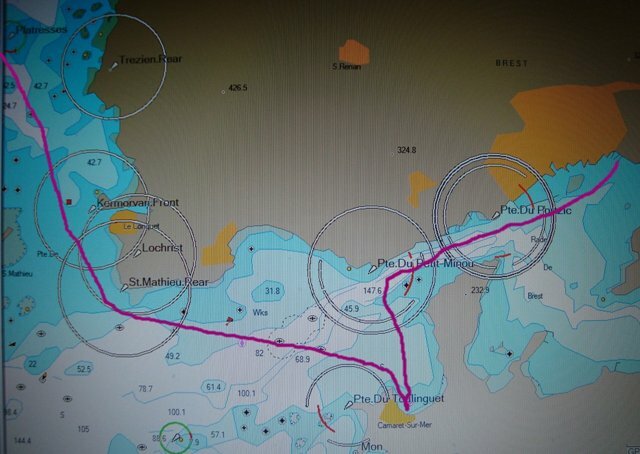 The log registered 821.4 miles, indicating we had sailed 51 miles in 11 hours and 6 minutes, averaging 4.63 knots through the water. 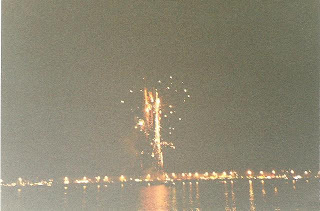 It was a bank holiday, and that evening I was treated to a free firework display set up on pontoons moored to seaward of the beach. 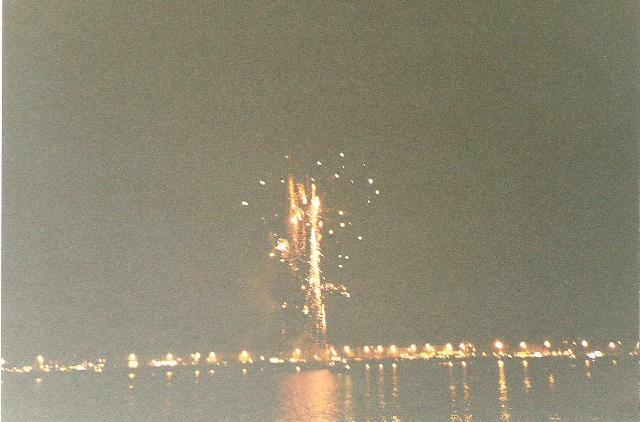 Festivities continued until the early hours of the morning, which did nothing for my attempts at sleeping. Noisy spectator vessels returning to the harbour disturbed the water with their wakes. Finally, all settled down, and apart from rhythmic rolling caused by the movement of waves I was left to my dreams. I had a peaceful night at anchor off Cawsands, to the west of Plymouth Sound. 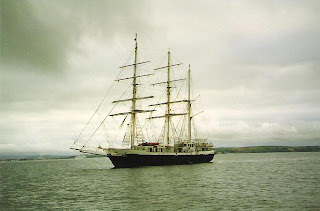 Early on the morning of Thursday, 21st August the training ship, ‘Lord Nelson’ anchored nearby. She was commissioned by the Jubilee Sailing Trust for disabled people to sail. 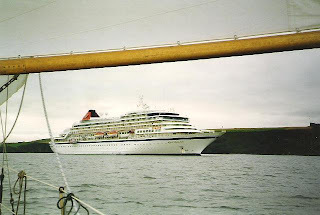 (See link below) Shortly after her arrival the ‘Royal Viking’ cruise ship entered the Sound via the western entrance and anchored at Jennycliff Bay. 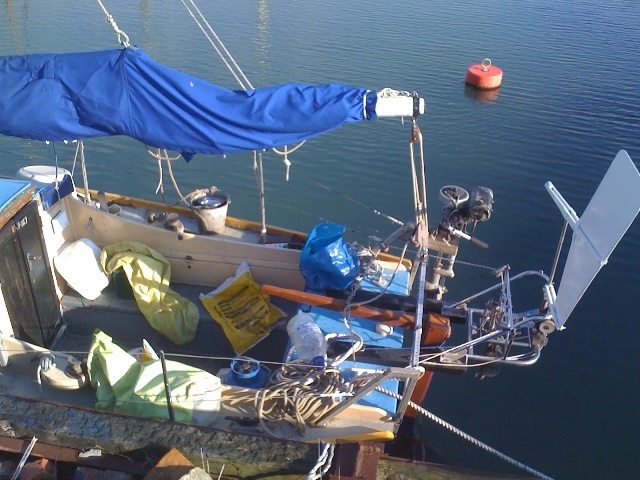 We were underway at 0715, and as there was hardly any wind we motor-sailed to Queen Anne’s Battery Marina at Plymouth where I fiddled around with the engine and fitted a brand new belt for the dynamo. A friend joined ship on the morning of Saturday, 23rd August for a sail to Paignton. 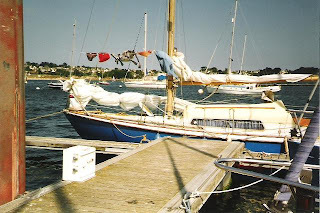 The wind was from the southwest – ideal for a good day’s sail. 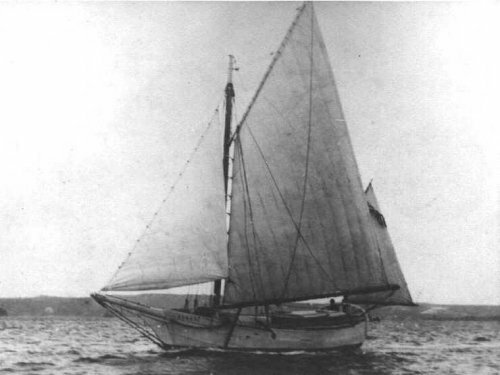 At one time ‘Aziz’ clocked a speed of 6.5 knots, but her average was only 2.4 knots. We anchored off Paignton harbour at 1655, having sailed 24 miles. That stretch of coast is very fine when viewed from the sea. 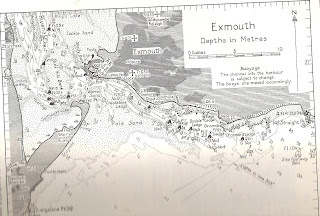 The spectator is treated to a panorama of well-cared for arable and grazing land, hamlets, rolling hills beyond Bigbury Bay; cliffs either side of Salcombe – Bolt Head and Prawle Point – then Start Point, high land at Dartmouth, and finally Berry Head, the noble guardian of Torbay, protector of Brixham. From there to the northwest is Paignton, in the lee of Roundham Head. I ferried my friend to the beach and said farewell, but when I arrived back at the yacht I found his rucksack. The two were reunited after I rowed to the beach, and for a second time I said farewell. Since the weather was settled, I stayed put at anchor for the night. That evening turned out to be quite pleasant. I had my meal while sitting in the cockpit admiring local sailing boats doing a spot of racing. 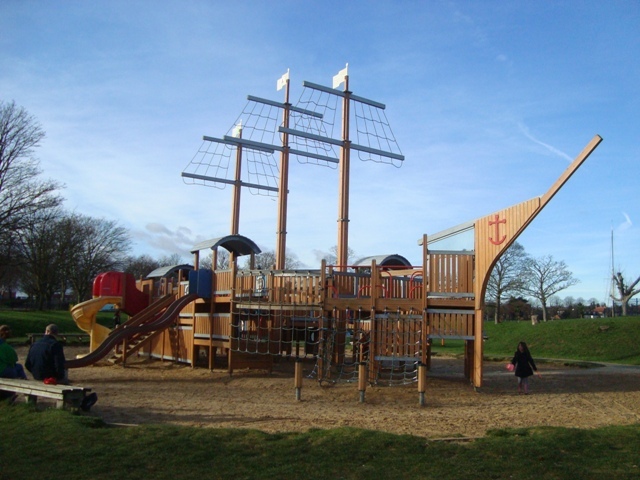 These large open boats have three masts and exceedingly long bowsprits. 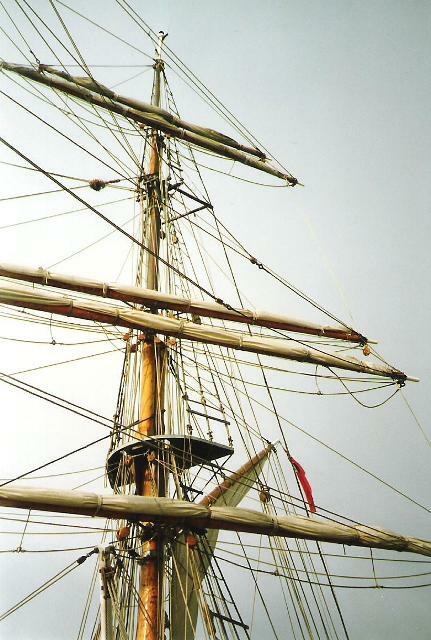 They have the capacity to carry enormous amounts of sail that needs attending to by up to a dozen crew members. 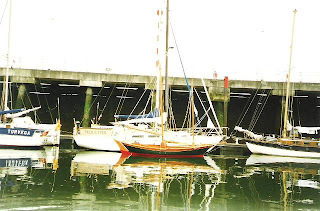 Before setting out from L'Aber Wrac'h on the morning of Tuesday, 19th August I sought the harbour master to pay my mooring dues, but he was nowhere to be seen. ‘Aziz’ was a mile or so to sea when I heard yelling from a chap in a fast launch. It was the harbour master seeking payment for my night’s stay. Long lengths of kelp entwined around the propeller, reducing its efficiency. Kelp also snarled the Walker trailing log. Out at sea we were intercepted by the crew of a French yacht who didn’t know where they were. I was able to give them their position, for which they were grateful. The grey sky was rather uninspiring, but variable winds from almost dead calm to Force 3 added some interest to the general dullness. At 1603 Concord passed overhead with the usual shattering explosive sound. I saw the first of several freighters going up Channel. Later that evening a tiny bird resembling a Robin landed on my shoulder before flying into the cabin. Wherever it pitched the inevitable happened. Within a short time there were droppings all over the place. 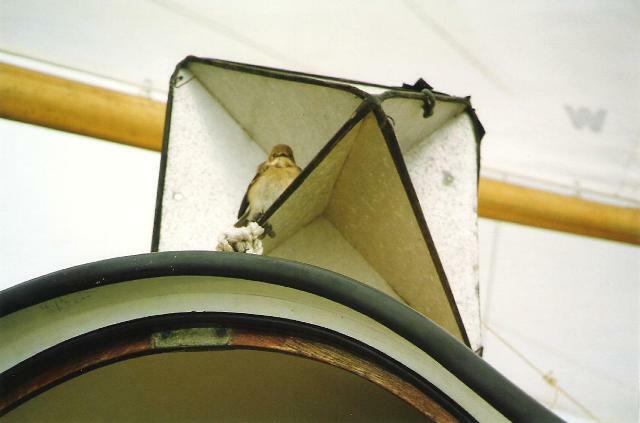 After resting in the forecastle for an hour or so, our visitor flew outside and perched on the radar reflector. 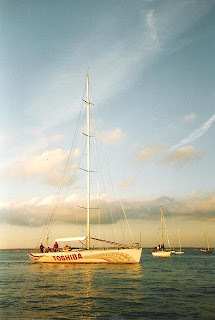 From there it flew to the guardrail and as the yacht rolled, the tiny creature lost its footing and fell into the water. I tried grabbing the helpless thing, but I could not reach it. Very quickly I lost sight of the doomed animal. Next morning at 1050 we were treated to double sonic booming blasts from Concord. 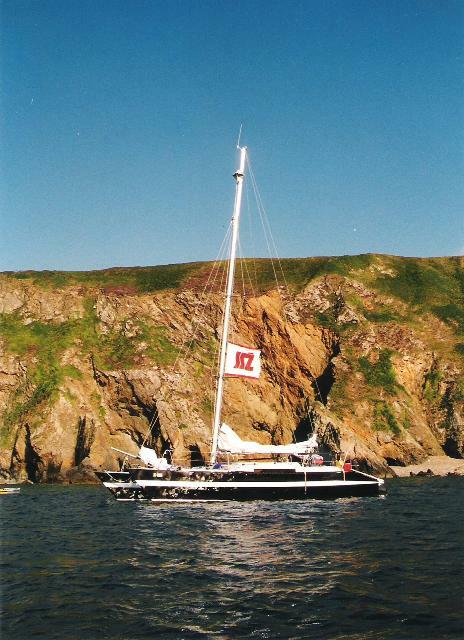 By 2000 we were only three miles from the Eddystone lighthouse, and less than three-and-a-half hours later, ‘Aziz’ was at anchor in Cawsands Bay. Saturday, 16th August was reserved for a day in port. I took a bus ride into the city to have a look at the architecture and to buy food. A fellow at a local chandler’s gave me a bolt of the exact type for fixing the dynamo. I have always found the French very helpful and generous. I recollect how helpful they were when I was there with my friend Bill. They helped us repair a gooseneck fitting that failed on his Eventide 26. When I woke on the morning of 17th August I found that a mosquito had taken a liking to my left ear. I have to be careful to protect myself from mosquitoes, because in the past I have suffered badly from their attacks. 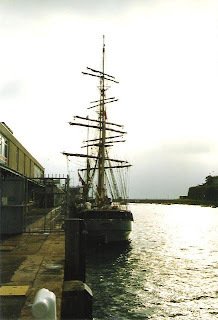 At 0735 we left Moulin Blanc Marina at Brest. My Czech friends were nowhere to be seen. As their inflatable dinghy was hanging off the stern, I assumed they were still asleep. I really wanted to say goodbye, because they had been such great company. 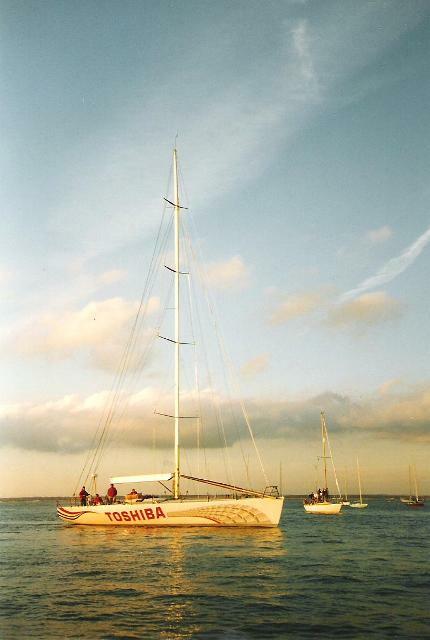 They kept in touch via the Internet and Thomas sent me photos of his catamaran, one of which I have reproduced here. We anchored off the pretty town of Camaret in time for lunch. 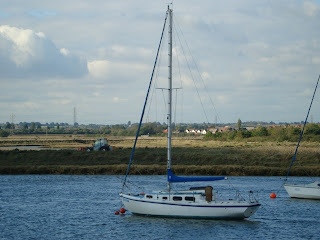 There had been very little wind, necessitating me to use the engine to get there. I noticed the fan belt had become shredded; therefore it wasn’t doing its work of rotating the dynamo. Fortunately I had a spare belt which was easy to fit. That afternoon I had a very enjoyable walk along a cliff top path before returning to the town which had several galleries displaying colourful paintings for sale. Moored in a shallow pool there was an unusual looking yacht with the name ‘Antarctica’. 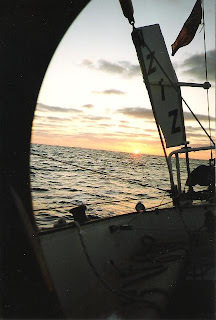 On the morning of Monday, 18th August I was anxious to be moving on, because the tide was right for going through the Chanel du Four, en route for L'Aber Wrac'h. 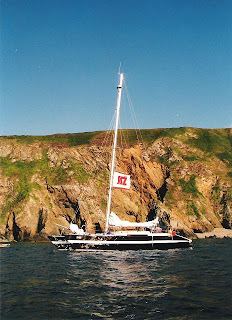 As we were entering the southern part of the channel to the west of St. Mathieu Point, fog rapidly enveloped the yacht. By then the tide was whipping us northwards. There was no wind, and to keep way on the yacht I had to have the engine on. Going through the Chanel du Four with good visibility would have been exciting enough, but doing it blind was not a picnic! Basically, I had no option. My eyes were everywhere searching ahead, studying the chart and watching the GPS. I could not hear anything, apart from the yacht’s engine. The tension was great. When I saw a gull swimming on the calm water emerge from the fog, I thought it was boat of some kind, because there was no sense of scale. How we got through the passage without coming to grief is a mystery. We had a near miss at the northern end, off the Platresses Rock, where another yacht emerged from the fog on a reciprocal course. When we were northwest of Le Four we came into open water. From there on, we had good visibility – which was just as well, because I didn’t fancy going into L'Aber Wrac'h in fog. That would have been suicidal. By then the flood tide was really pushing us along to the north of the rock-studded coast. I didn’t want to overshoot the Leventer Buoy, the outer mark of the transit leading Ile Wrac’h, because there would have been no going back, on account of the strength of the current. Anyway, all went well, and I thankfully picked up a visitor’s buoy at 1600 hours. 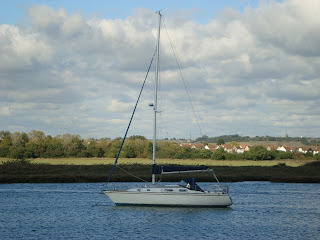 I sailed all day on Wednesday, 13th August with almost perfect conditions. At midnight the wind dropped altogether; therefore I did two hours of motoring before heaving to for sleep. The wind picked up about 0700 and I had a nice beat to seaward of the Île de Sein. At mid-afternoon I had to keep clear of several large ships, moving in all directions. Fog was rapidly advancing from astern which prompted me to head for the Anse de Bertheaume, where I could anchor in shallow water and be clear of shipping. I anchored there at 0330 on Friday, 15th August. 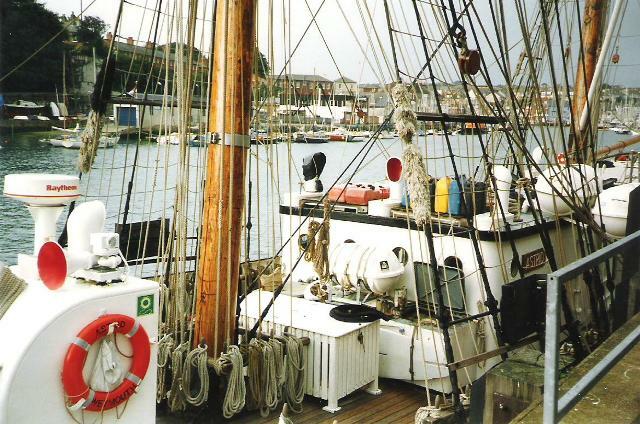 The objective was to sail to Brest, as I had not been there before. After a free night at anchor I awoke at 0600. Having had two-and-a-half-hours of sleep I felt pretty good. I made breakfast and attended to my ablutions, by which time it was 0830. Within a jiffy the anchor was stowed and we were on our way towards Brest. 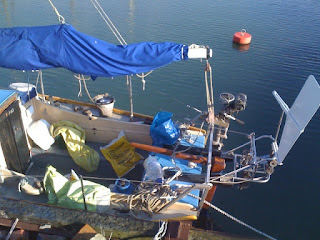 There was a light wind; therefore I stuck the engine on, but I immediately noticed it was not charging the battery. The dynamo had slipped from its housing, so I temporarily repaired it by wedging it into place with a piece of wood. We arrived at Moulin Blanc Marina in time for me to hear the evening forecast. As I was having my evening meal three Czech lads wanted to have a chat and to practise their English. They were Thomas Janda, Libor Smejkal and Pavel Kratky. Their very smart, plywood catamaran was designed and built by Thomas. He had given her a very distinctive name, ‘Dirty Rank Unsuccessful Young Man’! They had the smallest of inflatable dinghies which made me hold my breath as they returned to their boat at anchor. They couldn’t afford to berth at a pontoon.